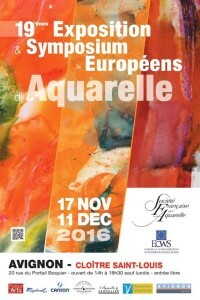 the 19th symposium of the ECWS has been held in Avignon (Provance – France) by SFA (Société Française de l’Aquarelle). 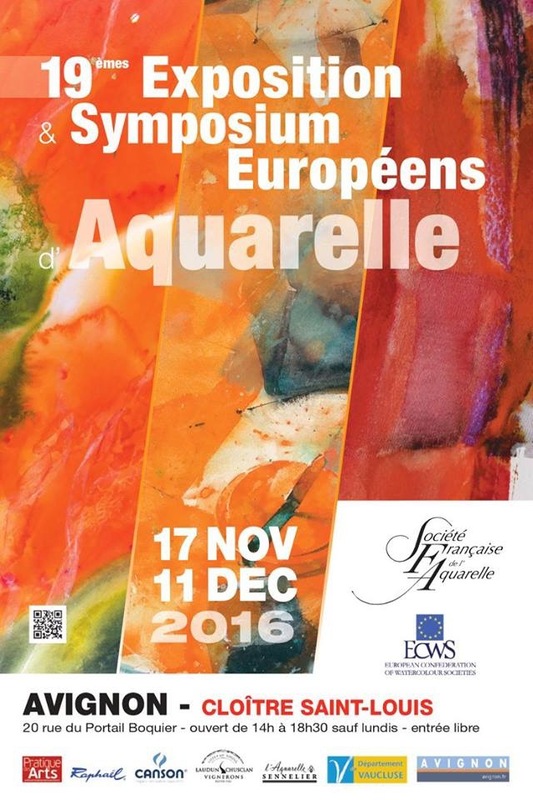 More than 200 hundred of paintings are on show at the Cloitre of St Louis until December 11, 2016. Avignon is both a historic city with its Palace of the Popes and and, at the same time, a city where the culture is present, modern, alive and dynamic. The Avignon Festival is the largest theater festival in the world. The exhibition takes place in an ancient cloister, a magnificent monument in the heart of the old town : three levels to display our works, a cloister to seek shelter, to relax, and to meet. During the symposium participants enjoied the city of Avignon, discovered the ochre quarries in Roussillon and painted together! Click here to see the pictures of the symposium. « 18th ECWS SYMPOSIUM in Llança: pictures!